I hope everyone is enjoying their summer break. We are back at work to welcome all of you to a new school year of learning and growing. 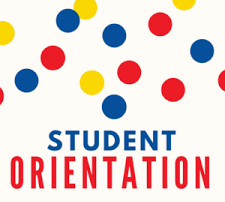 On Tuesday, August 7th, 2018 we will have our student orientation. During this time, students and parents will have the opportunity to complete all necessary paperwork to begin the school year. Students and parents will also have the opportunity to get important documents regarding school procedures, purchase uniforms and sign up for clubs, activities and other after school programs. Please attend the orientation during your assigned time slot based on your last name.